Coffee drinkers love their morning coffee so much that it’s basically a long-term committed relationship. 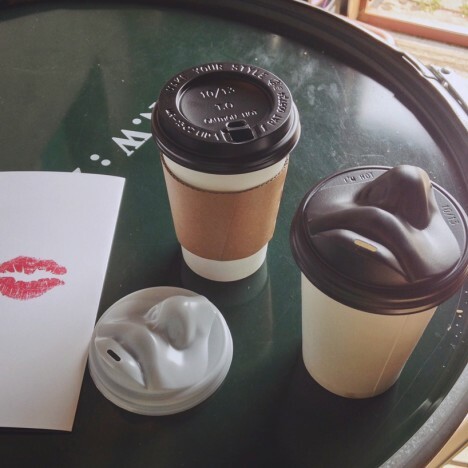 Korean designer Jang WooSeok compares a sip of coffee to a warm, comforting kiss. And he points out that while coffee is always available, a kiss with a loved one isn’t always possible. He took the idea of a coffee kiss and began sketching a face-like lid for a coffee tumbler. When you put your lips to the lips on the lid, it’s a bit like kissing a warm mouth. 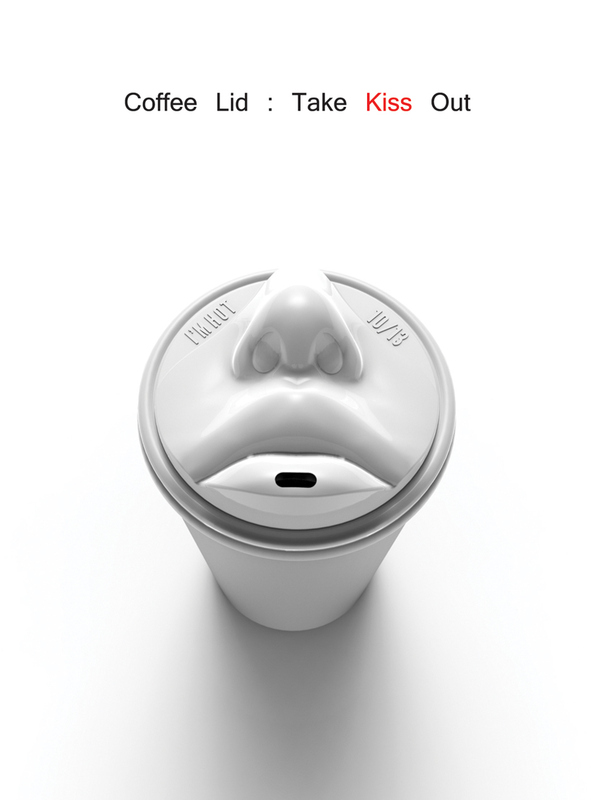 A hole in the bottom lip dispenses sips of your favorite warm beverage, bringing you two types of comfortable happiness at once. When Jang began work on his idea, he outfitted it only with lips, but something felt off. He added a nose and facial muscle contours to make it more lifelike and kissable. The result is a shape that is definitely human-like, but still just so very weird. The designer sees it as a fun product that will be great marketing for businesses that use it, and we have to agree there. 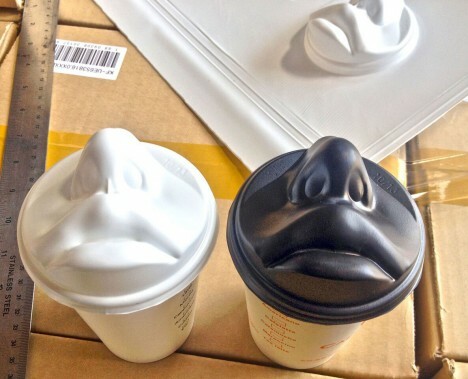 Everyone will want to know where you got the creepy coffee lid with a face on it. The lids are already in production and are being sold in Korea in quantities of 100 or 1000. See more in Industrial Design or under Technology. September, 2015.